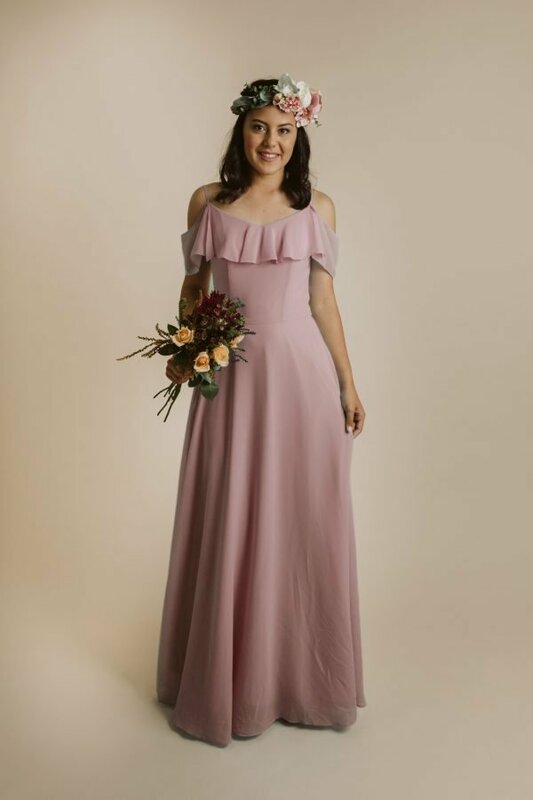 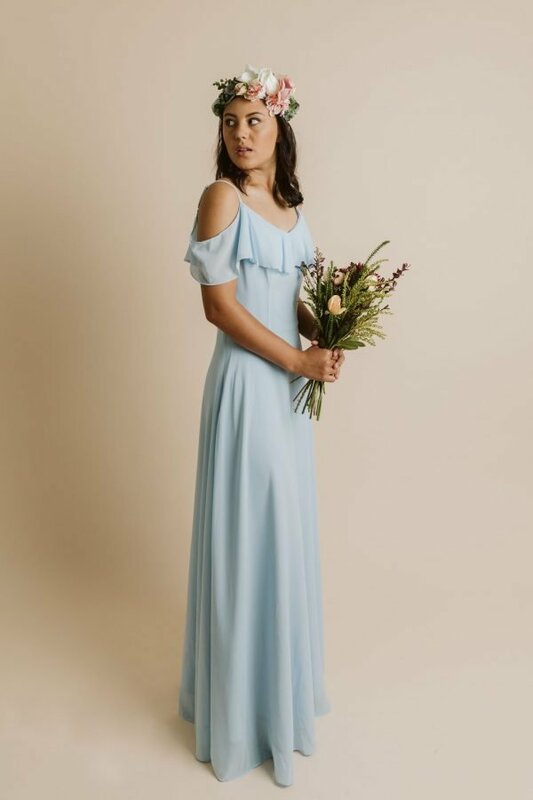 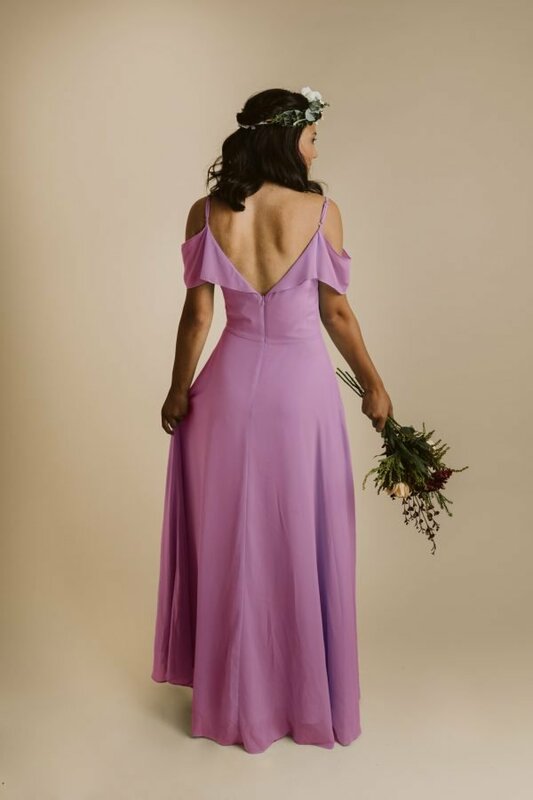 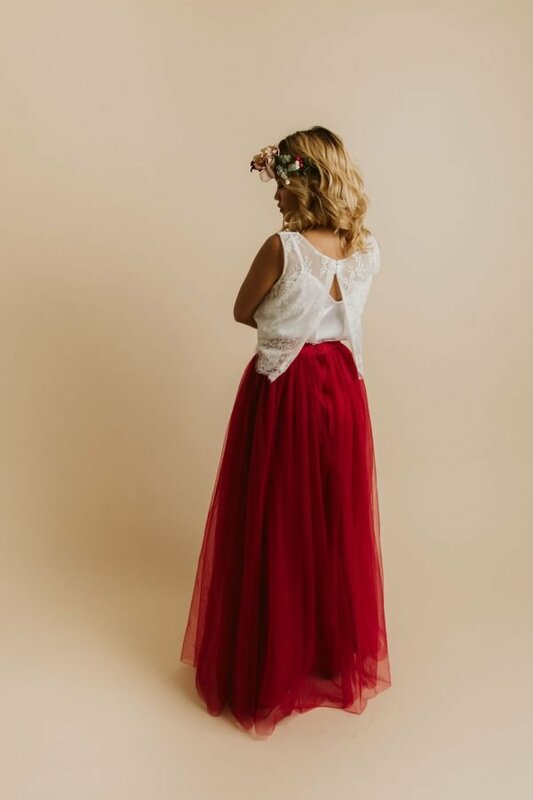 The focus of the Belva chiffon maxi design is on the beautifully twisted knot at the front bodice to enhance and flatter your waist and curves. 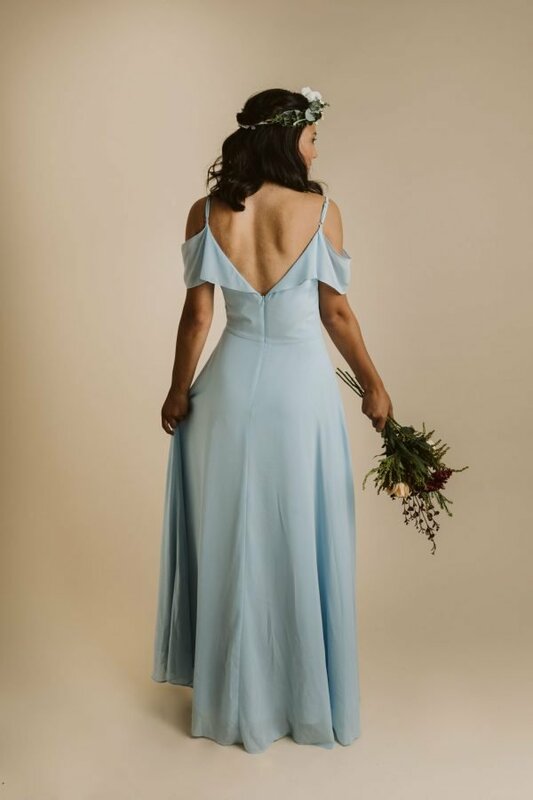 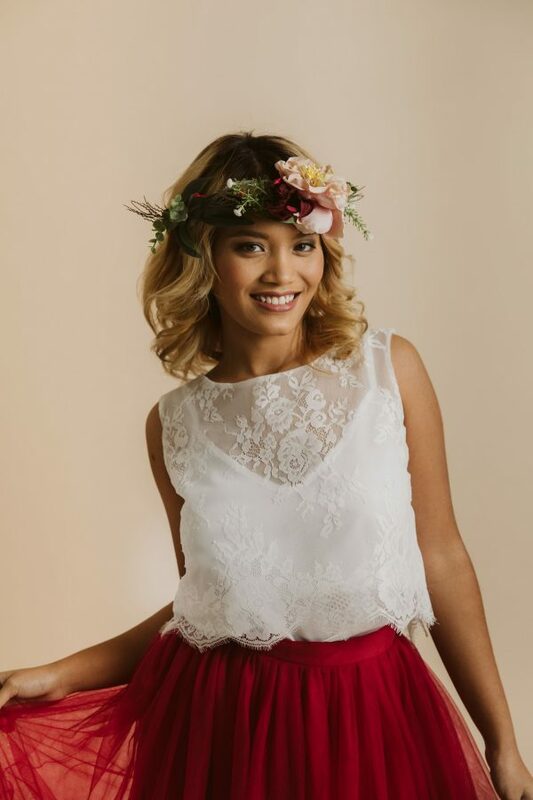 Alongside the twisted front, this design also offers you twisted spaghetti straps which gently clings onto your shoulders and the dress falls effortlessly touching the floor. 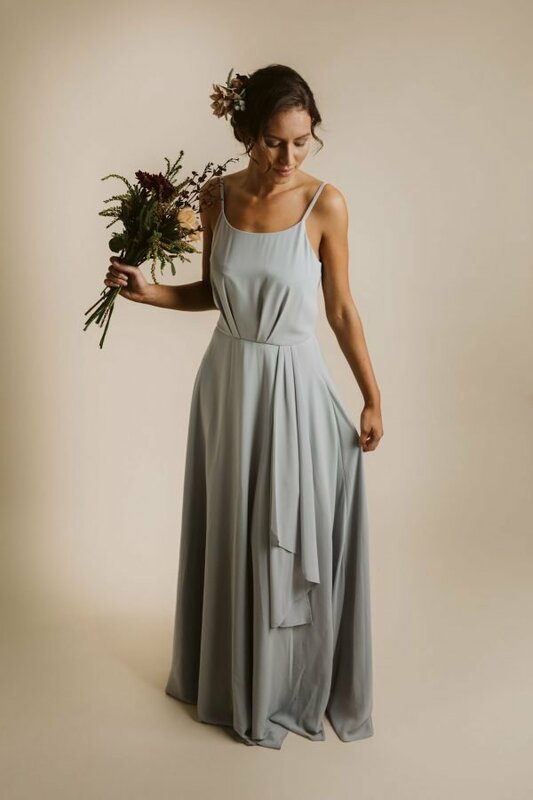 This Belva chiffon knot-draped bodice with A-line skirt maxi is the perfect dress for your bride squad. 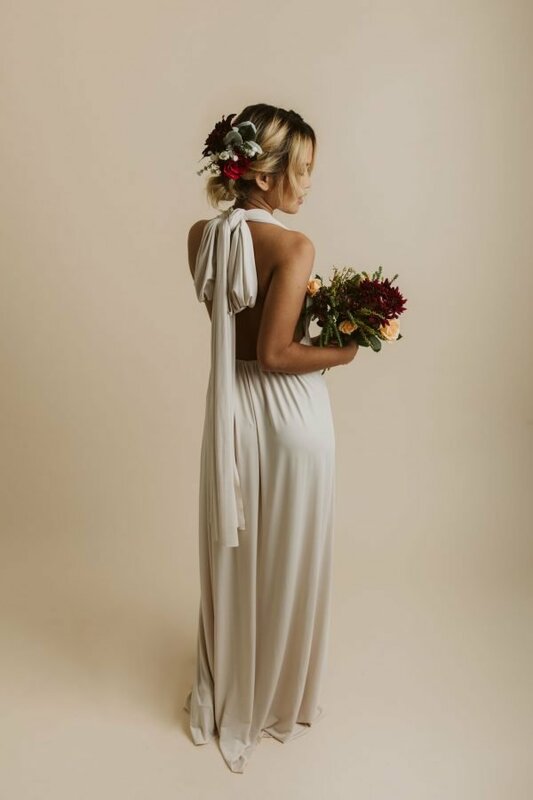 While popping the champagne, sizzle the big day with the flawless vintage gown looking fresh and beautiful the whole day. 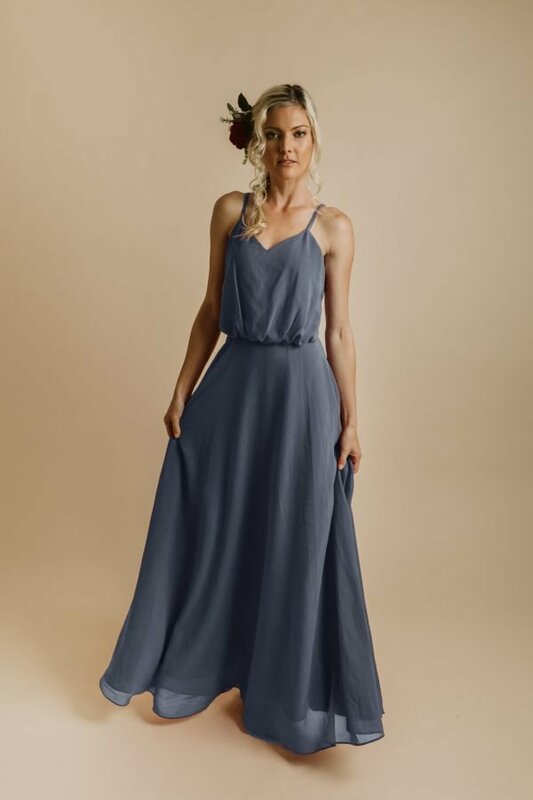 To work wonders match this maxi V-neck dress with a pendant necklace where the pendant sits in the V and couple it with a tiara hairstyle to create a sense of awe. 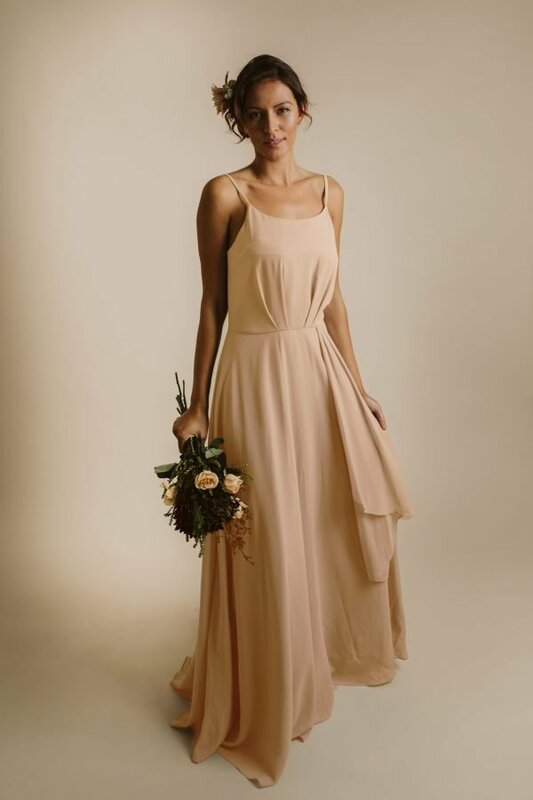 This dress will surely hold a special place in your wardrobe as it is the perfect blend of classiness and formalness. With the correct accessories and your confident attitude, you can wear this dress on other occasions also. 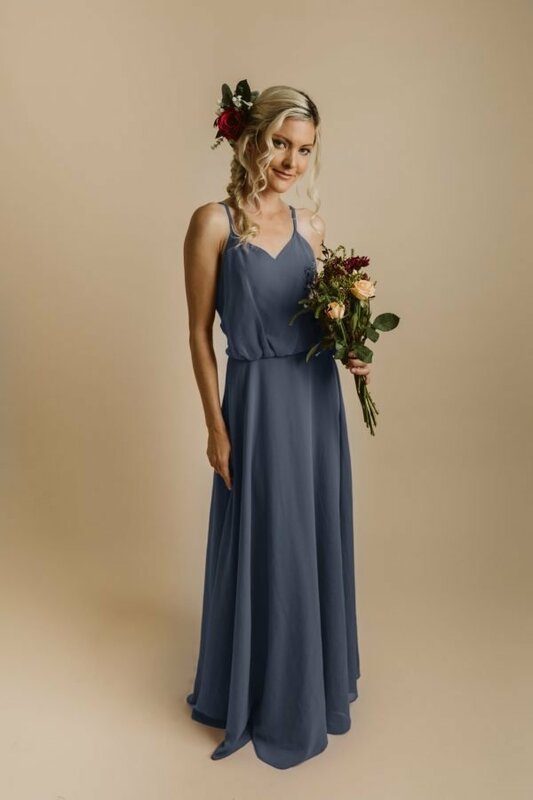 Colours shown on the photos are Stone, Eggplant, Indigo, Berry and Beyond The Sea.